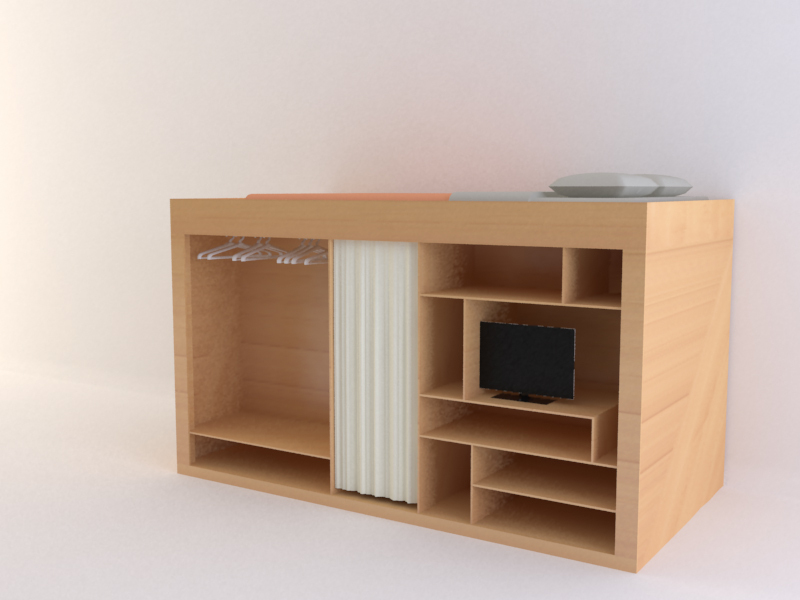 Designed by Till Ewert Koenneker, The Living Cube is an assembly of shelves, storage space and a bed. Tightly integrated in an ergonomic cube, its timeless design allows it to be used in any space and situation. After encountering the work of Till Koenneker, I decided to use it as an inspiration to draw the same one for myself. 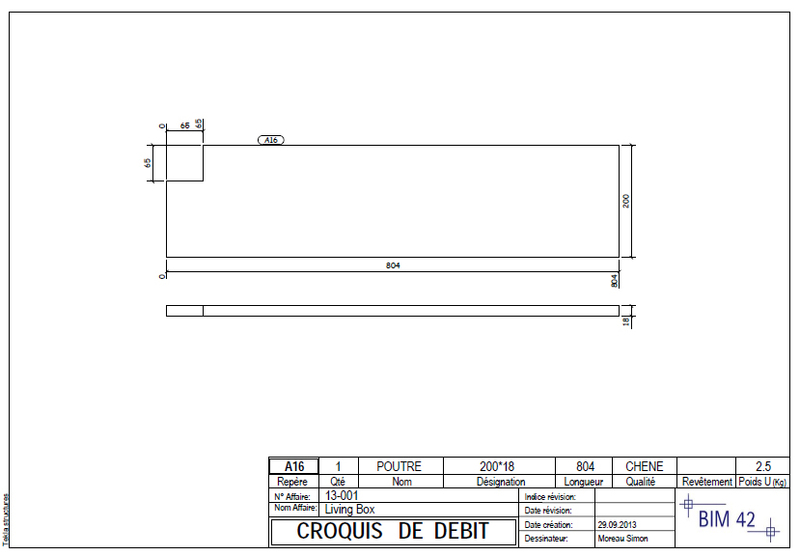 The main idea is to design a piece of furniture, producing drawings with a software usually used for steel detailing. My goal is to automatically produce shop drawings of every parts of the finished product, directly from the model. These drawings are then to be send to a joiner’s workshop for the production of parts that I can assemble myself, just like any ready-to-assemble Ikea-like funiture. 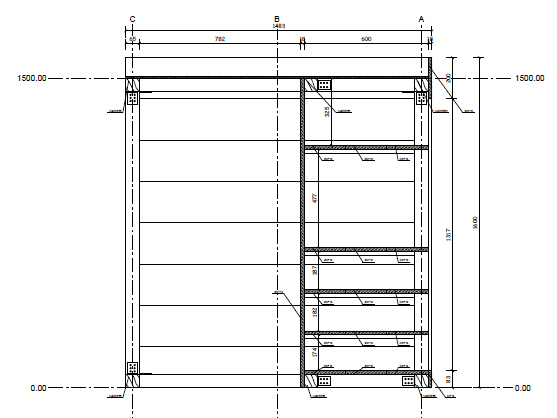 I’m not using Tekla Structure on a regular basis, but I know its power for producing shop drawing for timber or steel structure, and its caracteristics fit my needs for this project. It will be a good occasion to hone my Tekla skills. I started with a first sketch on Tekla Structure, trying to find the best proportion for my needs. I came up with a first version, and used 3D Max to render it. I then used the Tekla model to produce general drawings of my project, and submitted this first version to someone who is used to design and build pieces of wooden furniture to get some feedback. His very precious advice helped me to draw a second, more constructible version of my loft bed. These drawings are also available here. I was then able to create a detailed shop drawing for each part of my assembly. Sadly, this project is still in its development phase, mostly due to my lack of knowledge in furniture design and joinery work. I hope to be able to restart it someday, when I will have time to draw some new version.